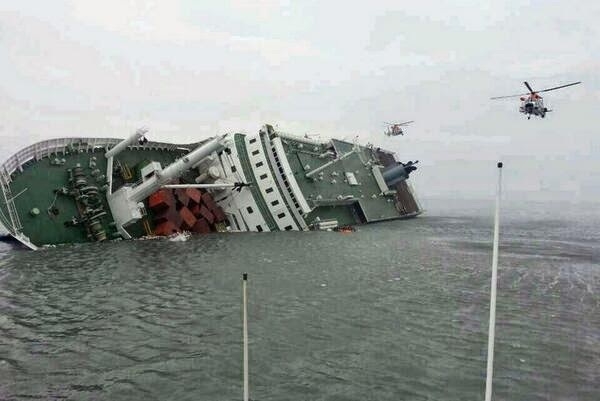 South Korea government on Wednesday, April 16, 2014 announced that two were dead and 295 still missing as ferry carrying 477 people sinks off Korean coast. At least two people - a woman and a student were confirmed dead by the coast guard. South Korea's coastguard has confirmed that 164 were rescued from the sinking ferry however, it said hundreds are still unaccounted for. Most of the passengers were high school students. The 6,825-tonne ferry was sailing from the western port of Incheon to Jeju island, which is known as "South Korea's Hawaii" and is one of the country's most popular tourist destinations. 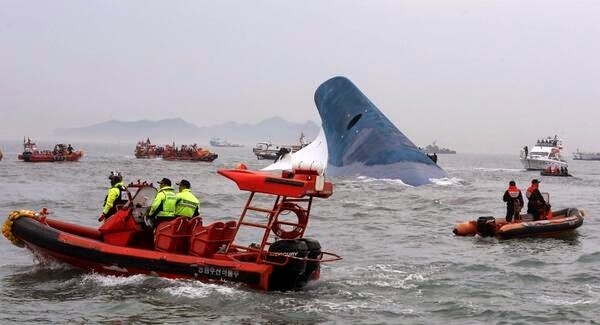 It ran into trouble 20 kilometres off the island of Byungpoong. A school official said all 338 high school students and teachers who were travelling to Jeju have been rescued. The rescue operation was still underway six hours after the ferry first sent out distress signal at 9:00am (0000 GMT). Passenger testimony says that they have heard a big thumping sound and the boat stopped. "The boat is tilting and we have to hold onto something to stay seated. ", one passenger said.